SUP is indeed a low-risk type of water sport that you can do in Kauai. It is a relatively safe sport so that even kids are allowed to do SUP in Kauai river. But just like many other sports, injuries and accidents can possibly happen. No matter your experience in SUP, you should make sure that you and your group are safe. The point of SUP in Kauai is that so you can have fun with your entourage. It will be pretty ugly if you overlook the importance of the safety. 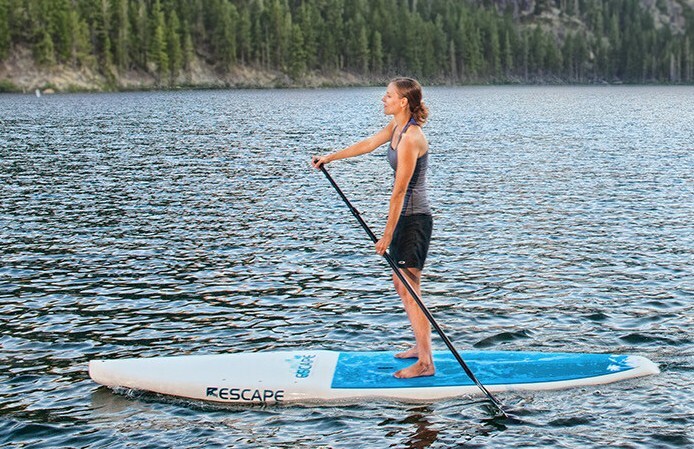 Before getting your sup rental, keep in mind these safety tips first. First things first, you can’t go wrong with playing safely. If you are paddling in the Hanalei Bay, wait for the waves to die down before getting on the board. It is also a great way to carry the board at your side, rather in the front of you. When the waves hit you while you’re still carrying your board in the front or the back, this will compromise your safety as well as the others’. You also need to be observant. Try to be aware of the danger zones and stay in the specific or designated SUP area. On a SUP, it is hard to make any quick maneuvers that means you should stick to the safest area as possible. If you have just started paddling, quite a water is safer for you and your entourage. Don’t forget to wear your leash. Without a doubt, the leash is the big difference between living and dying. They do serve the great purpose. You might be a great swimmer but if you fall out, your board will not approach you. It will just go away. Not to mention that it could injure someone else. PDF or life jacket is also pivotal gear for your SUP activity. The government of the US has very strict rules about SUP in Kauai. Wearing a PFD or life jacket is very important if you are paddling in the Kauai river since your fall can be more dangerous than you expect. It is also a good practice to wear this in all environments in Kauai. Dress code is also important. Whether you are in the Kauai river, lake, or the sea, the wetsuit will always serve the best thing. A wetsuit will be beneficial to prevent chill or even hypothermia. This wet season, Kauai weather can change drastically. Therefore, it is very important to check the weather of Kauai. One minute it can be calm, and the next, it can be pretty windy out there. Don’t hesitate to ask your local tour agency about the weather. ; When you do sup rental, the shop owners will also give you valuable tips that you can use for your safety.